This recipe tastes phenomenal and is highly recommended for holidays. I found this recipe long ago and still enjoy up to today and hope you also enjoy it! 1 .) Place your cut bread onto your tray and add a tiny bit of Horse Radish Sauce. Spread the horse radish with a knife. Cut your scallions and hard cooked eggs. Add your scallions and hard cooked eggs onto your horse radish. After place on a serving dish and enjoy! 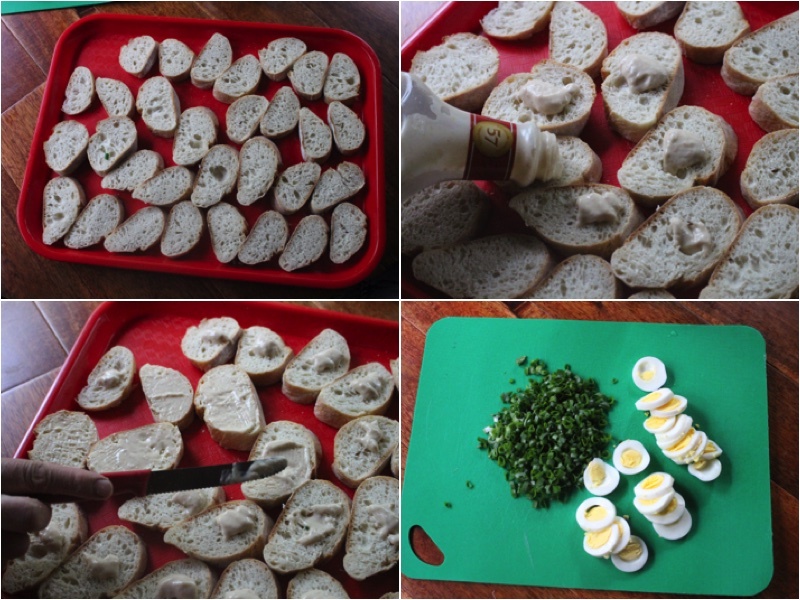 Place your cut bread onto your tray and add a tiny bit of Horse Radish Sauce. Spread the horse radish with a knife. 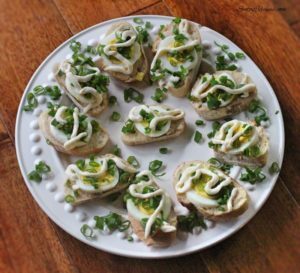 Cut your scallions and hard cooked eggs. 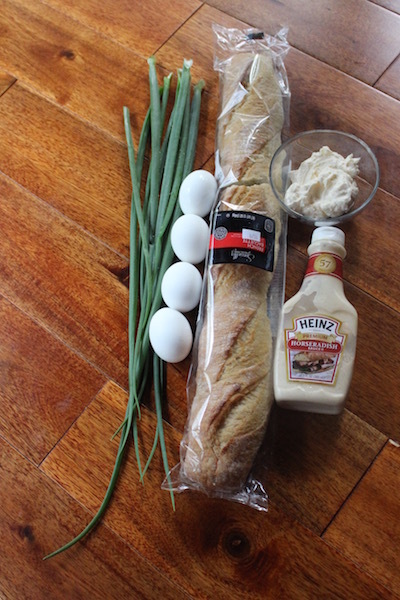 Add your scallions and hard cooked eggs onto your horse radish. After place on a serving dish and enjoy!